Velan Studio has acquired funding for experimental projects and EA is getting behind its debut, a team-based action game. Electronic Arts is in the middle of a battle royale...battle royale with Apex Legends by Respawn Entertainment and Battlefield 5's Firestorm from DICE both airdropping into the popular genre, but the gears continue to spin in the company's board rooms. This week, EA has announced a new publishing agreement with Velan Studios. As a result of the new agreement, the studio will be bringing on 40 new employees, doubling the development team by the end of the year. Velan Studios was founded in 2016 by Guha and Karthik Bala and the team has been working on a team-based action game for PS4, Xbox One, Nintendo Switch, PC, and mobile. It's an original IP that will introduce a unique world and "pioneer an entirely new and entertaining way to experience team-based action." 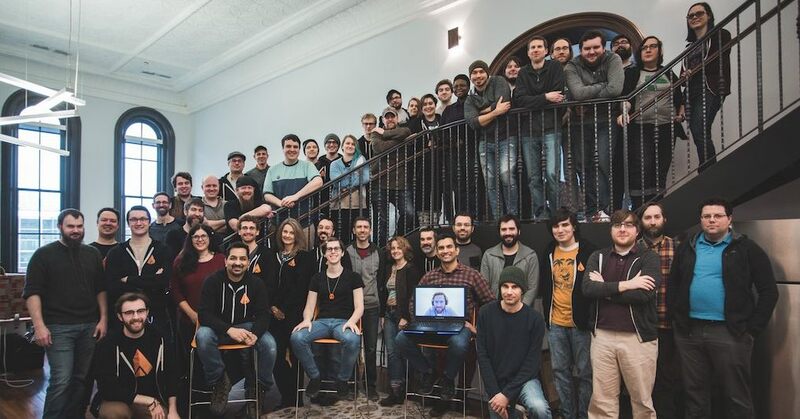 Experimental projects have been the focus of Velan Studios for a while, as the team secured $7 million in Series A funding for investment in experimental games initiatives. Whatever demonstrations the team has going on behind closed doors, Electronic Arts has become a believer. "In EA Partners, we found a team devoted to bringing breakthrough ideas to players everywhere. They believe in our creative vision and will use their best-in-class resources to support the success of our game,” said Guha Bala, President and Co-Founder, Velan Studios, in the press release. “We started Velan Studios to make community-centered play experiences that are daring and distinctive from what’s being played today. We can’t wait to share the details of our first original game in the future." Team-based gaming, whether in the form of a battle royale like PUBG, hero shooter like Overwatch, or amalgamation of both in something like Apex Legends seems to be the hot ticket in the gaming industry if executed well. It's not clear where Velan Studios' new title will land or even if what the team is working on is even remotely similar to the mentioned titles, but EA will likely be putting the project out in front whenever Velan is ready to show it off. Stay tuned to Shacknews for additional gaming and tech updates. This is the first sign of life for EA Partners in years, though I've not yet confirmed that Apex Legends is also technically an EA Partners title too, given the past relationship between EA and Respawn. EA Partners program was replace with EA Acquires.